References PD_RDFSemanticItem::bindingAsString(), m_email, m_homePage, m_imageUrl, m_jabberID, PD_RDFSemanticItem::m_linkingSubject, m_nick, m_phone, and PD_RDFSemanticItem::optionalBindingAsString(). References gchar, PD_RDFSemanticItem::getExportToFileName(), getExportTypes(), m_email, m_jabberID, PD_RDFSemanticItem::m_linkingSubject, PD_RDFSemanticItem::m_name, m_nick, m_phone, PD_URI::toString(), and UT_DEBUGMSG. References XAP_App::getApp(), XAP_App::getLastFocussedFrame(), PD_RDFSemanticItem::importFromDataComplete(), m_email, m_jabberID, PD_RDFSemanticItem::m_linkingSubject, PD_RDFSemanticItem::m_name, m_nick, m_phone, StreamToString(), UT_DEBUGMSG, and UT_UNUSED. References m_email, m_homePage, m_nick, and m_phone. References RDF_SEMANTIC_STYLESHEET_CONTACT_NAME, RDF_SEMANTIC_STYLESHEET_CONTACT_NAME_HOMEPAGE_PHONE, RDF_SEMANTIC_STYLESHEET_CONTACT_NAME_PHONE, RDF_SEMANTIC_STYLESHEET_CONTACT_NICK, and RDF_SEMANTIC_STYLESHEET_CONTACT_NICK_PHONE. Referenced by AP_RDFContactGTK::createEditor(), exportToFile(), importFromData(), PD_RDFContact(), setupStylesheetReplacementMapping(), and AP_RDFContactGTK::updateFromEditorData(). 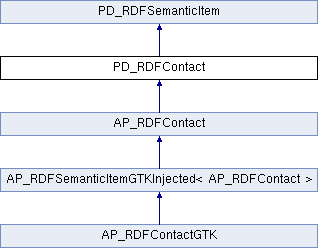 Referenced by AP_RDFContactGTK::createEditor(), PD_RDFContact(), setupStylesheetReplacementMapping(), and AP_RDFContactGTK::updateFromEditorData(). Referenced by AP_RDFContactGTK::createEditor(), PD_RDFContact(), and AP_RDFContactGTK::updateFromEditorData(). Referenced by AP_RDFContactGTK::createEditor(), exportToFile(), importFromData(), PD_RDFContact(), and AP_RDFContactGTK::updateFromEditorData().